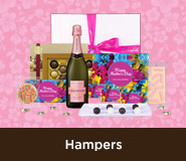 Make Mum's day with our variety of Mother's Day chocolate gifts. 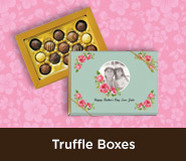 From personalised chocolate bars (available in regular and large sizes), to custom truffle boxes and even trio boxes complete with your design spread across three delicious milk chocolate bars, you can be sure Chocablock Chocolates has something to put a smile on Mum's face. If you have left things a little late, don't worry as we offer quick dispatch for customers across Australia & NZ. We can also add photos, lyrics from Mum's favourite song - anything you like.